It’s all about this year’s Black Friday, Jumia sets to make the biggest black Friday ever in Nigeria. Following the announcement of the dates, jumia pronounced her partners for its biggest sales event of the year, black Friday 2017. Interestingly, customers would have enough period to buy what they want as this year’s festival runs for 31 days, from November 13th to December 13th 2017 on the notable platform (jumia.com). This year’s deals will be very remarkable with up to 1 million hot deals and amazing discounts up to 80% off. 1. 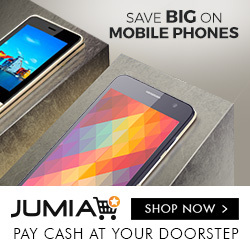 Create jumia account at jumia.com and fill your profile details. 2. Ensure you’re consistent on the jumia platform. 3. Do have a reasonable budget and work towards implementing it. 4. Check for the hottest deals as early as 12am . 5. Ensure your device is internet ready and have an alternative plan especially on the issue of power. A lot of people maximize the opportunity of the black Friday to make huge profit. Some of the products sell for as low as 80% discount. If you have the opportune moment, you can buy many high – in – demand products in bulk and resell after the black Friday period at the normal price. Some of the jumia partners in this year’s event include: Intel, Pampers, Infinix, Philips, HP, Fero, MTN, to mention a few and about 1000 top brands available to hit the ground running. Jumia Black Friday 2017 features exclusive online shopping offers including a roundtrip ticket to Europe and 500,000 naira shopping voucher. Some other notable events include app-only sales and hourly flash sales with relatively low prices.. If you are wondering where FCMB comes in, then, know that as a prospective customer, you gonna enjoy 10% discount for every payment made with an FCMB bank account via jumiapay. Obviously, all the inventory categories have witnessed increase with up to 80% discount applicable on regular prices with over 1 million products from about 15000 merchants. So, watch out for your special access to special app- only deals sales event and flash sales if you download the jumia mall app.